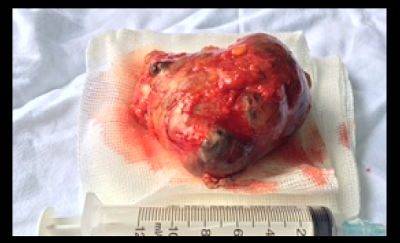 Male 58 yo history of sefl detected right breast tumor slowly growing for 10 years [see FOTO], its size of 6 cm and changing color of covered skin. 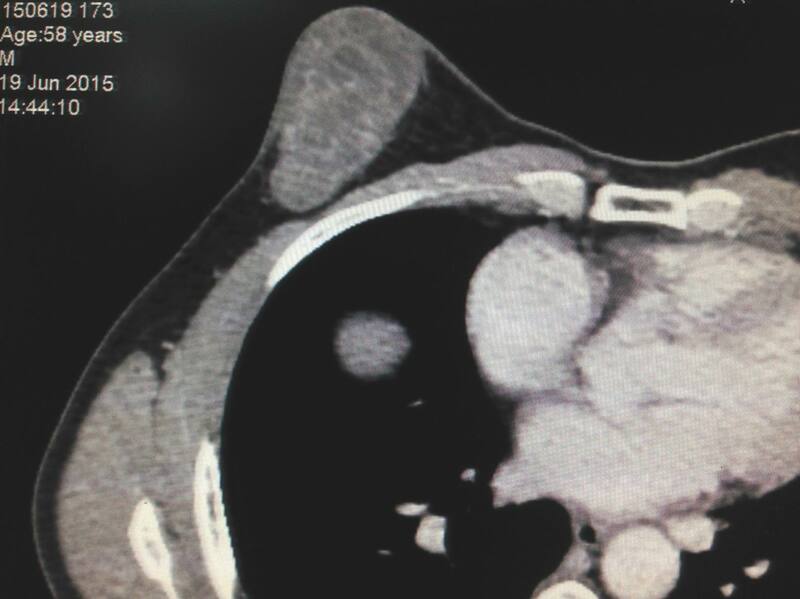 On ultrasound it was a solid tumor with cystic formation, hypovascular, no adherence to deep muscle layer and small axillary nodes ( US 1, US 2, US 3). 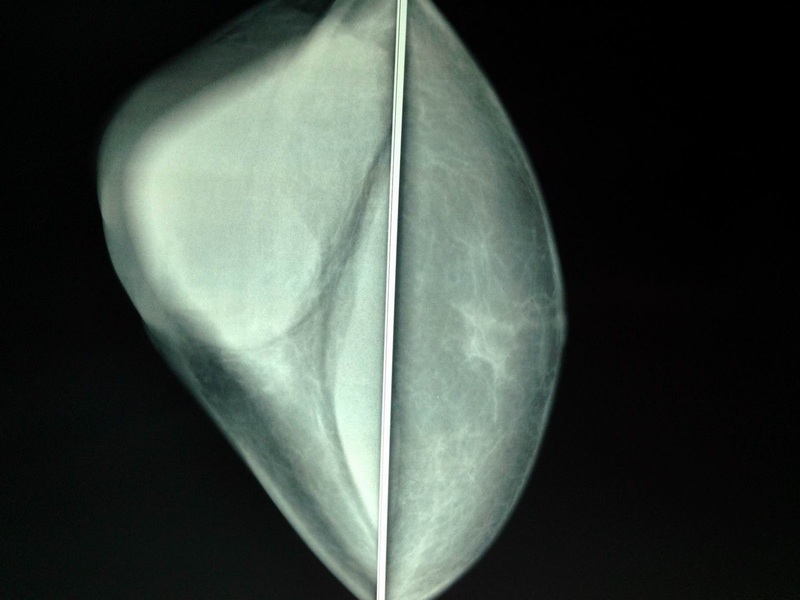 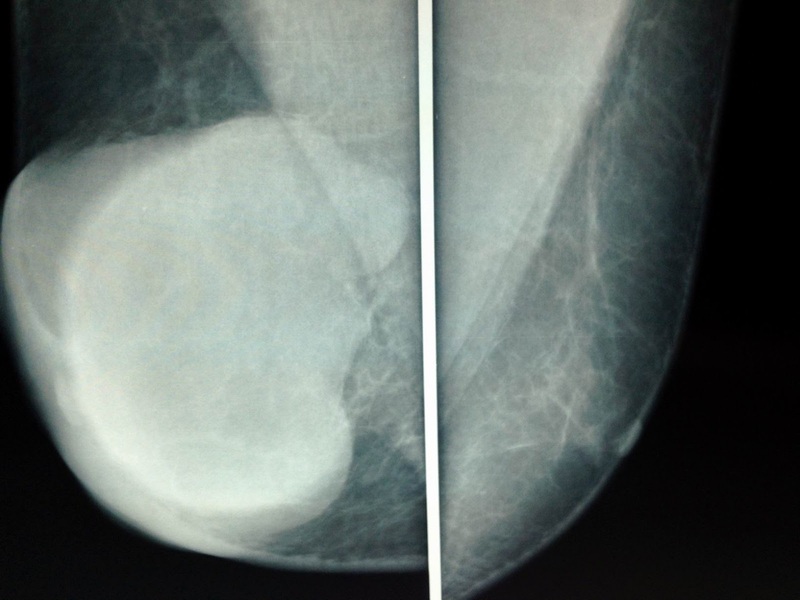 Mammography showed well- bordered round tumor, no calcification ( mammo1, 2). 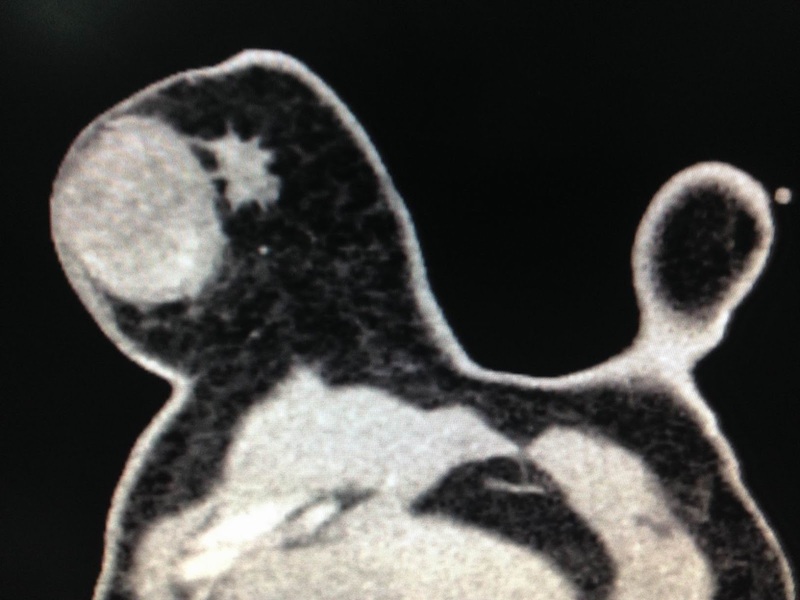 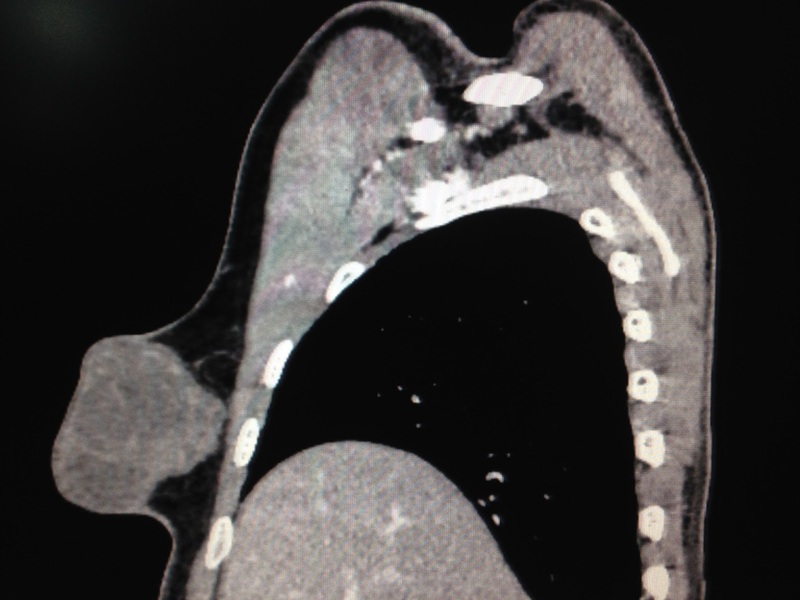 MSCT with CE of this tumor was low CE enhanced, very clear border (CT 1,2,3). FNAC report was blood cell only and no tumor cell. 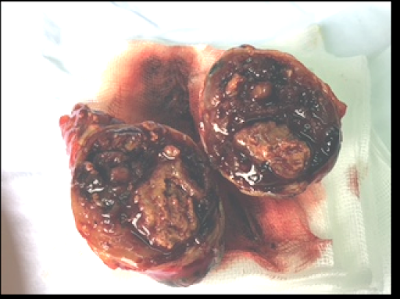 Pathology report was caverneous hemangioma.